This is a great workout for someone who wants to build muscle at home with minimal equipment. 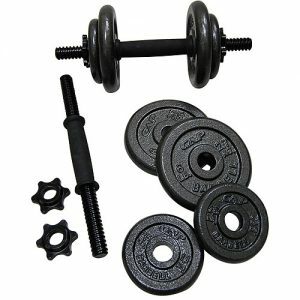 Adjustable Dumbbells: A set of adjustable dumbbells is the most important piece of equipment to buy. Buying something like these and buying plates for them will be the most economical. Being able to add a lot of weight to your dumbbells is important; you can’t do a lot with 40 pounds after a few weeks of training. An Adjustable Bench: An ideal bench would be one you could adjust from flat up to 90 degrees. Doesn’t have to be anything fancy at all. ** Be sure to check your local Craigslist for good finds on used equipment! Push Ups: 3 sets of as many as you can possibly do. This is basically your burnout set so churn out some good push ups. My Fitness Pal: An App Worth Having? You could use the same rep ranges, maybe add in another set so like 4 sets of 12 instead or you could do 5×5… whatever you like best. Hey Cutty I would like to know if I can increase these workouts to twice a week such as doing Chest/Back one workout and shoulders/legs another workout keeping arms and core where it’s at since its already a combo. 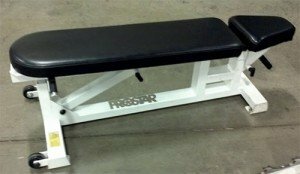 If its possible would you recommend a different combo split of the chest back shoulders legs. My training schedule would be 1.chest/back, 2.Shoulders/legs, 3.arms/core, 4. rest 5. Chest/back 6. Shoulders/legs 7. Off then repeat. Try it out for 2 weeks and let me know how you feel. Hey Cutty did the routine I mentioned for 3 weeks when suddenly the water main in our gym broke. I ended up being without a gym for about a month so I created my own bodyweight program to still stay active (my hobby is obstacle course races/mud runs) I am getting back into your plan and would like to know where to add in pullups and/or chin ups. I am doing your normal schedule not the combined as I previously mentioned. I will however be changing pushups to plank up shoulder taps. For fun here was the bodyweight plan I had followed going 3 rounds each exercise to failure with a day of rest after each. The exercises with slashes means I did one during a workout and the other the next workout. Looks good man. I have a body weight workout for teens that would be right up your alley as well. Looks good Ill implement it!